Weighty Matters: Does Your Doctor Know How to Take Your Blood Pressure? Does Your Doctor Know How to Take Your Blood Pressure? First there's a brand new study out. I'd tweeted about it when it was released, but thought it was important enough to warrant a blog post. The study was quite straightforward. Measure the blood pressure in both arms of patients, follow patients for nearly 10 years, and then see if there was any relationship between between arm blood pressure differences and morbidity and mortality. The results were rather striking, and probably the easiest way to report them is to state that in patients without known cardiovascular disease, having a between arm difference of 10mm Hg or more in their systolic blood pressure (the top number) and having some risk for cardiovascular disease, conferred as much (and perhaps more, but not statistically significantly more) risk to 10 year survival as did having known pre-established cardiovascular disease. The authors recommend that patients with marked inter-arm differences be managed more aggressively, and while there's not yet data suggesting benefit, it's a compelling study and subsequent to its early publication, I've begun measuring blood pressure bilaterally and have had a few patients who've had large inter-arm variances. If the cuff's too small, you'll get a falsely high blood pressure reading. Watch your doctor put on the cuff to ensure proper sizing - there's usually a guide on the cuff itself where two parallel lines need to cross to ensure proper fit (you can see them in the picture below). Alternatively when your doctor's putting on the cuff, ask him or her how size is determined! If you've been waiting in the waiting room forever and you're upset, it's not impossible your pressure's up as a consequence. I'd hate to see you placed on blood pressure meds because your doctor runs chronically late. 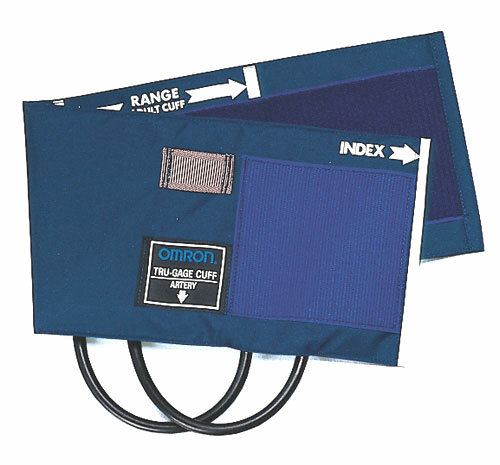 If you suspect that your blood pressure's up only when you see your doctor (due to "white coat" or "waiting room" hypertension), consider buying a home blood pressure cuff to monitor on your own. Just bring your home cuff with when you see your doctor so that you can validate your cuff's reading against your doctor's (and they can also check to ensure you're putting it on properly).